Steven (Chicagoland, United States) on 6 February 2019 in Landscape & Rural and Portfolio. 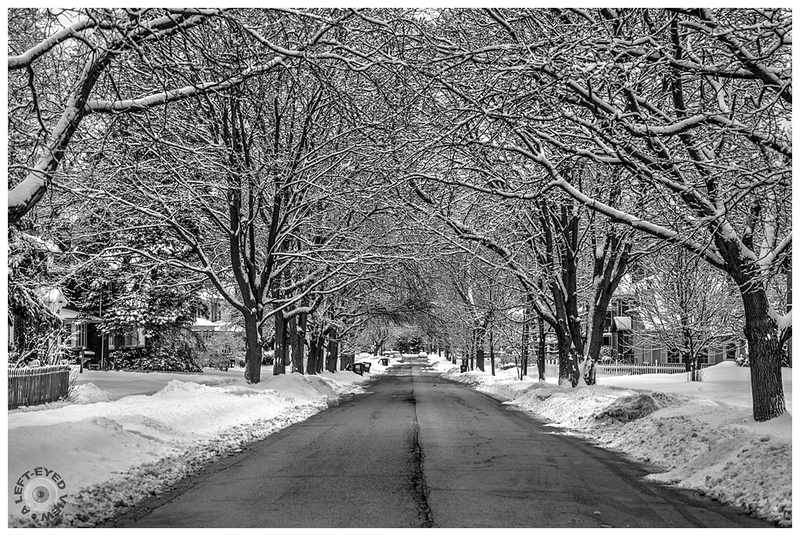 Gillett Avenue in Waukegan, Illinois the morning after a 9" snowfall. THIS, Steven, reminds me of my childhood in Michigan! So many happy memories of snow! Magnificent perspective in this snowy landscape. I like! Nice winter atmosphere. The road is carefully plowed. Très belle composition joliment enneigée, et bien loin de mes conditions climatiques. A beautiful perspective and winter atmosphere ! BW is perfect for that ! Très jolie composition joliment enneigée et bien loin de mes conditions climatiques. It’s beautiful and we can feel the silence that snow creates. This is a beautiful road view. I love this tunnel of snow filled trees. Really nice! un chemin envoûtant ! merci au photographe. This is rather stunning in black and white. Très joli black and white !!! Love the point of view of this snow covered neighborhood. beautiful winter mood !!!!!!!!!!!!!!!!!!!!!!!!!!!!!!!!!!!!! !Lovely image here !!! A beautiful snowy arch! Great contrasts! Gorgeous photo, Steven! Just what I'd expect from you! So glad to see you've survived the Polar Vortex! The trees make an honorary arch across the road. A beautiful perspective and winter landscape. Très belle allée, magnifique paysage d'hiver. Un avenue bien dégagée ! Très beau N&B ! The snow plows were out early! A real winter wonderland. The snow covered limbs form a nice archway over the road. Lovely scene. Qui provoque l'envie d'emprunter cette petite rue si joliment enneiger et si bien photographier. Excellent escape point, exalted by the street lined with trees, creating an irreprehensible graphical effect.